Going out for dinner can end up being very pricey, especially if you have 3 hungry kids like me… It can end up costing a fortune. 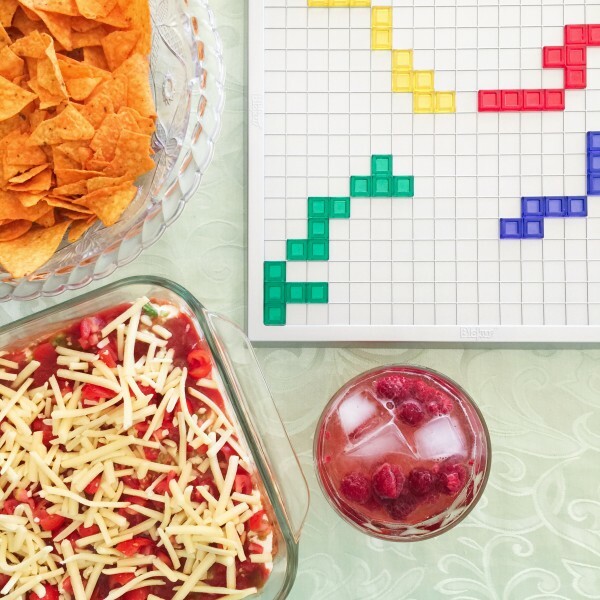 If you don’t have room for eating out in your budget, consider inviting your friends and family over to your place or the local park for a picnic. It’s your choice whether you will provide all the food or ask them to bring a plate. 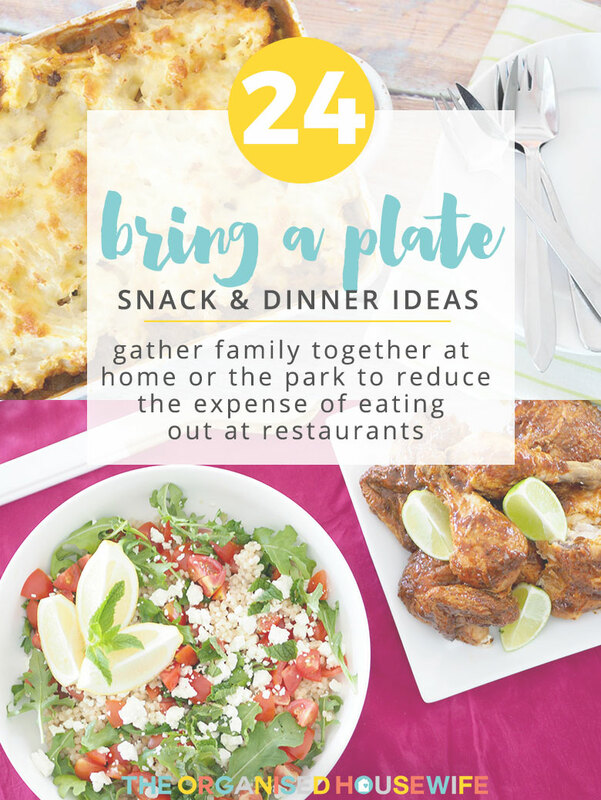 Here are some ideas if you are asked to ‘bring a plate’ or if you want to give your friend a suggestion. This social dish carrier is perfect for when you’re asked to ‘bring a plate’. 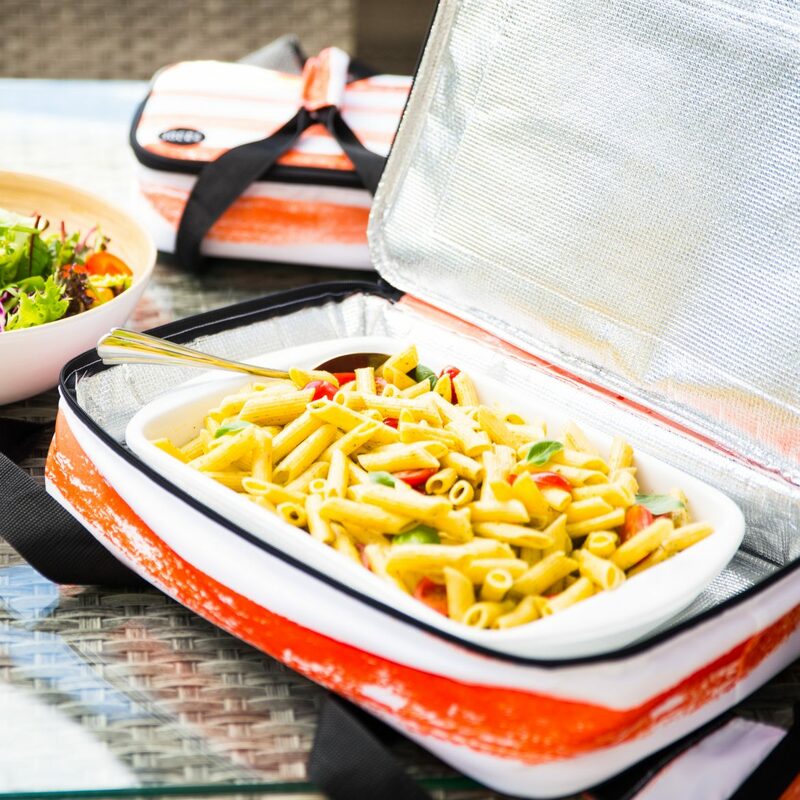 It’s a two-for-one insulated food carrier that keeps hot food hot and cold foods cold. No more arriving at gatherings with a dish awkwardly balanced or wrapped in a tea towel. Most importantly, it keeps your food the right way up! The large size fits a standard casserole or baking dish, while the smaller one holds half the size. You can use these separately or individually. They also have a stylish range of cooler bags and market bags! 1. 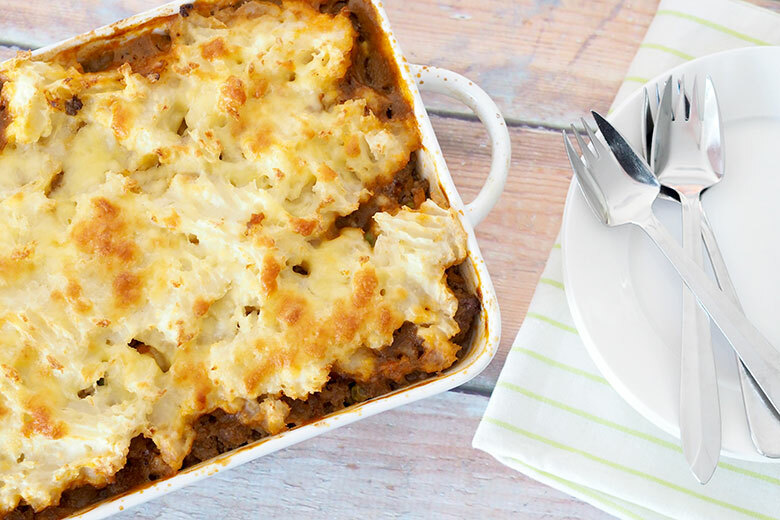 QUICK SHEPHERD’S PIE – This is something quick and easy to prepare. 2. 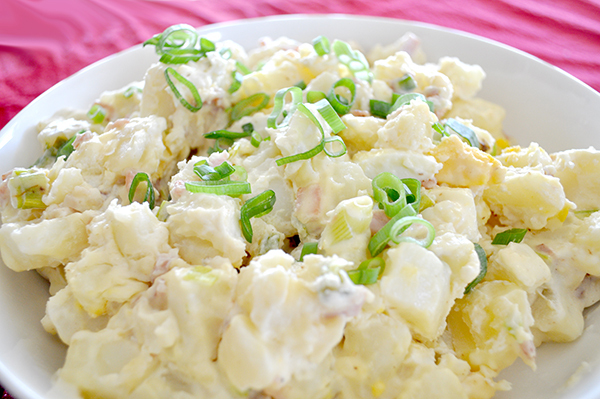 POTATO SALAD – I have never been a fan of potato salad, but I have to say I truly love this home-made recipe. 3. 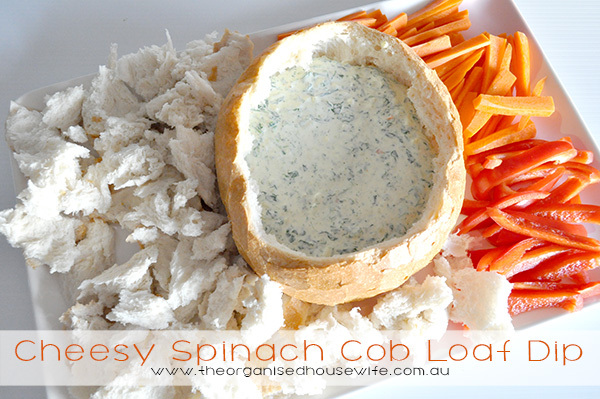 CHEESY SPINACH COB LEAF DIP – Usually when I have people over for dinner, we always have crackers and dip or chips and bread with dinner but I thought I would mix it up a little and make a delicious cob loaf dip. Everybody loved it and it was eaten up pretty quickly. The best part is that the whole lot can be eaten including the crusts, which after a little while the dip makes it a little soggy and ooh so tasty!! 4. 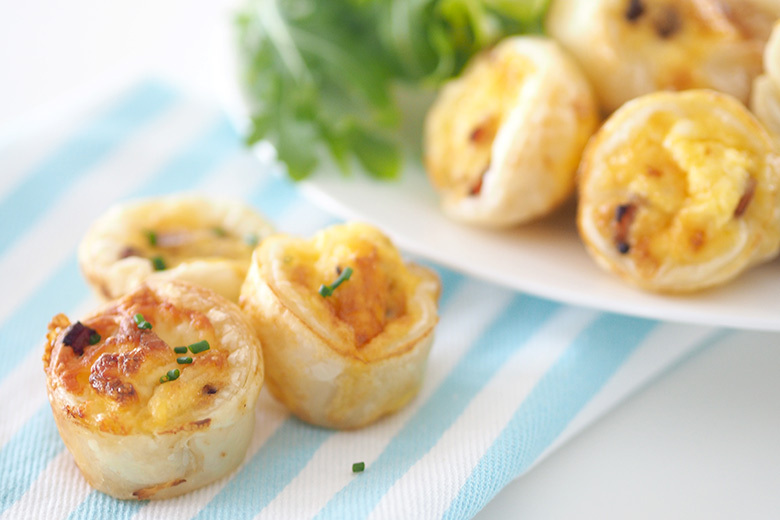 CHEESE & BACON MINI QUICHES – These Cheese and Bacon Mini Quiches are perfect to make for parties, when you have friends over for morning tea or lunch or cold in the kids lunch boxes. They are really easy to make and fuss free. 5. 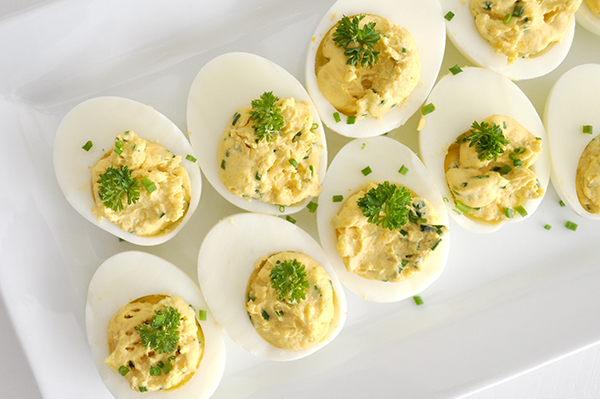 DEVILLED EGGS – A favourite at many of our gatherings is the good ole faithful devilled eggs, this very retro dish will never tire. It’s a great snack that is easily picked up and eaten with one hand, or great to have on a buffet table to serve up for dinner. 6. 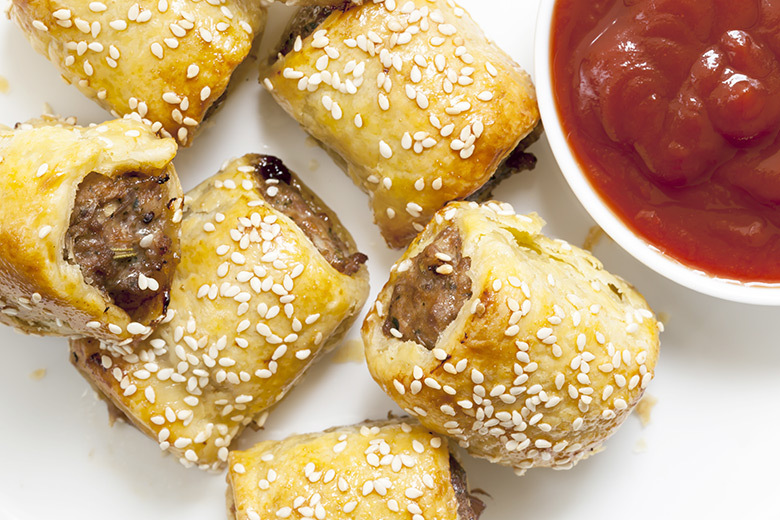 HOMEMADE SAUSAGE ROLLS – These are delish! The perfect finger food and they taste incredible served warm or cold. 7. MEXICAN LAYER DIP – Mexican layer dip is a great dish to bring along to BBQ’s. It is always a crowd pleaser. 8. 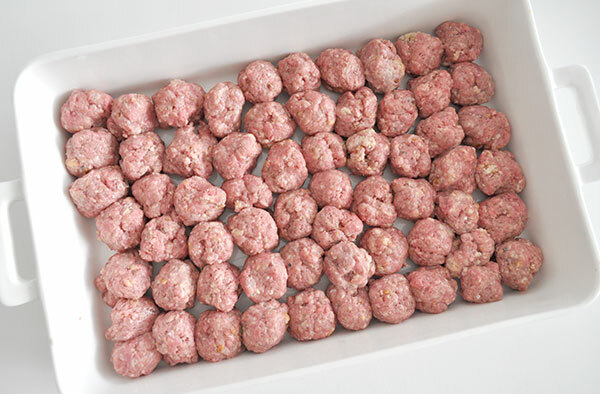 SWEET AND SOUR MEATBALLS – These are good to bring to a BBQ. You could just have them in the dish uncooked so that they are warm and fresh. Pop a toothpick in each one and add a bowl of sauce for the perfect food. 9. 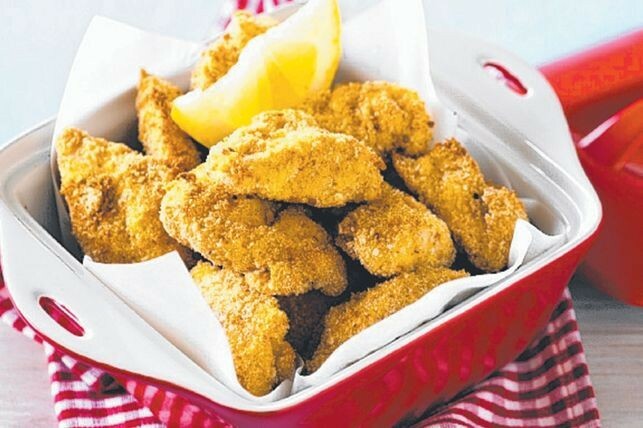 CHICKEN NUGGETS – A classic snack that you know kids will love. 10. 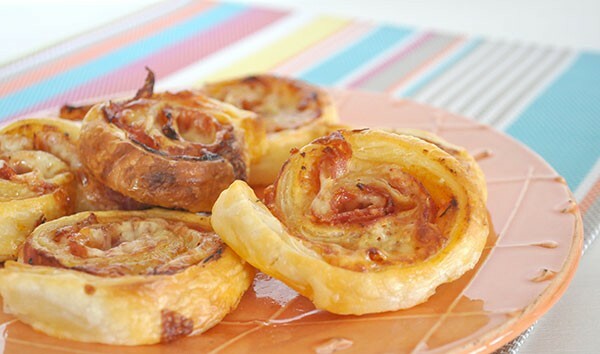 SUPER EASY PIZZA SCROLLS – These super easy pizza scrolls are just that. They make for a great lazy weekend lunch or plate to share. 11. FETA AND MINT PEARL COUSCOUS SALAD – The beauty of couscous is that it can be served, hot, cold or at room temperature, so it’s easy to create something to suit the current season. 12. 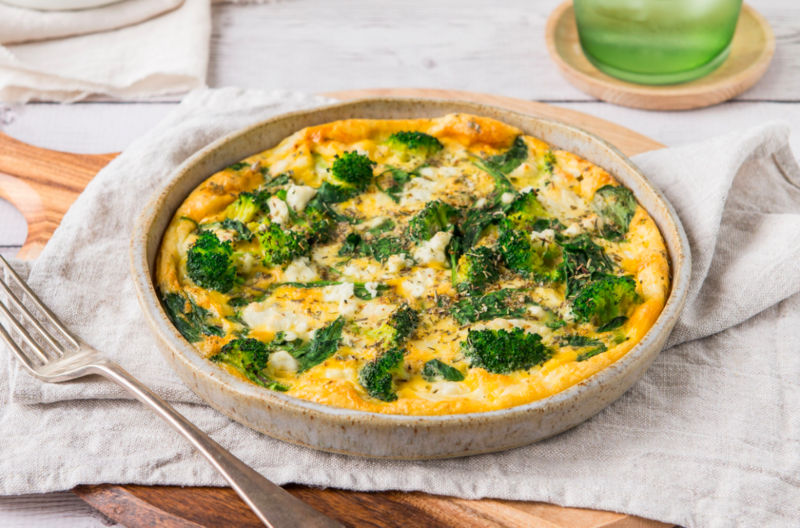 FOOLPROOF SPINACH & FETA FRITTATA – Anything goes! To be honest you can substitute ½ a cup of any veggies you like for the spinach. This is a great low calorie meal for a dinner. 13. 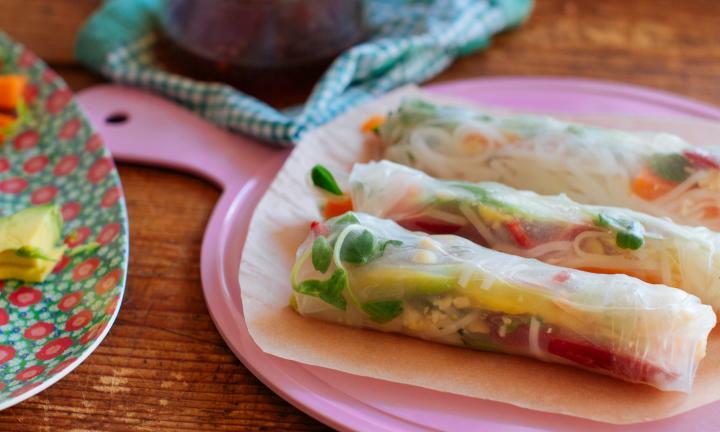 VIETNAMESE RICE PAPER ROLLS – These Vietnamese rice paper rolls are full of fresh flavours and taste just like the ones you buy in restaurants. 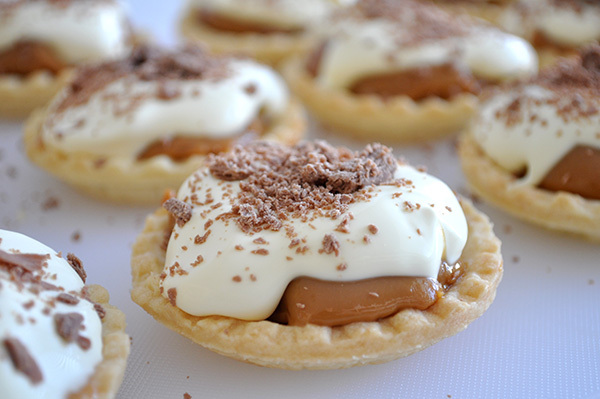 Making these at home is so easy and the kids can fill them up with their favourite fillings. 14. 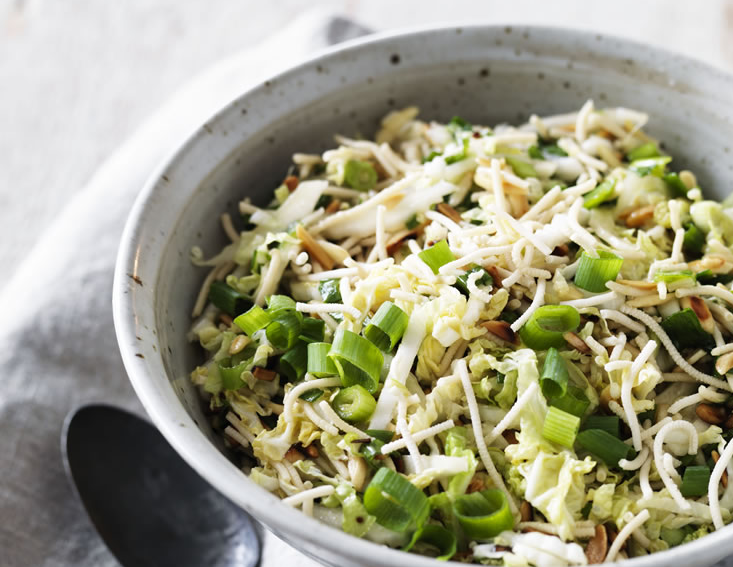 CRISPY NOODLE SALAD – Crispy noodle salads are great to go with meat for BBQs. 15. 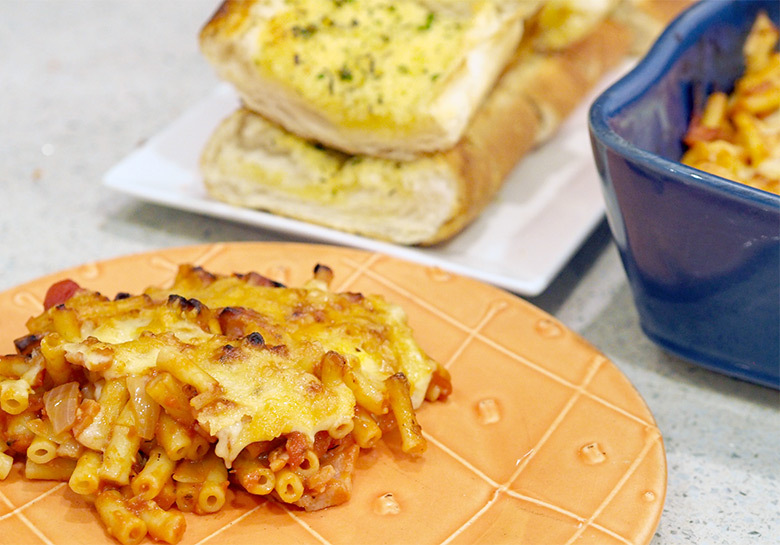 BACON PASTA BAKE – This Bacon Pasta Bake is a quick and reasonably light pasta bake, compared to the pasta bakes I usually make with loads of mince. 16. 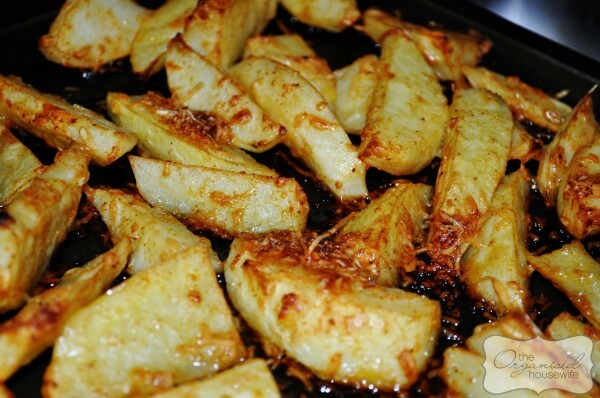 POTATO CRUSTED POTATOES – A good side dish for parties and dinners. 17. 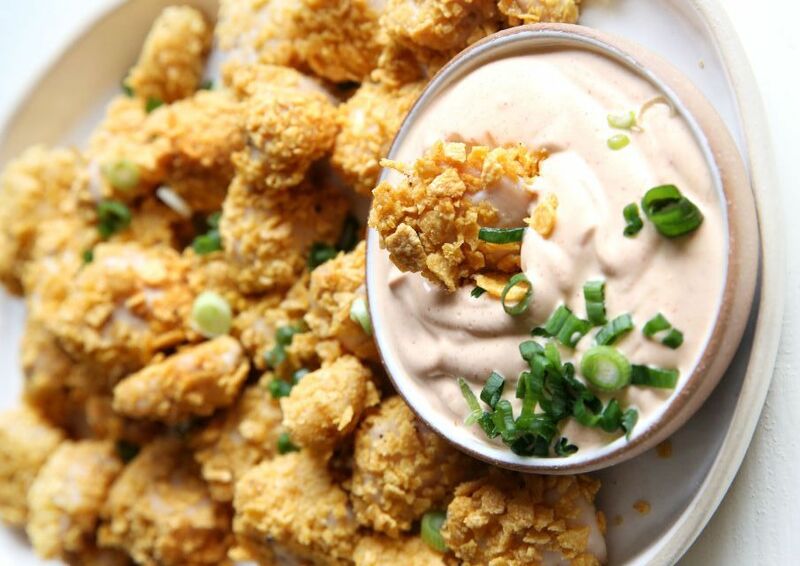 POPCORN CHICKEN – Popcorn chicken is delicious finger food. Be sure to impress everyone with this dish. 18. 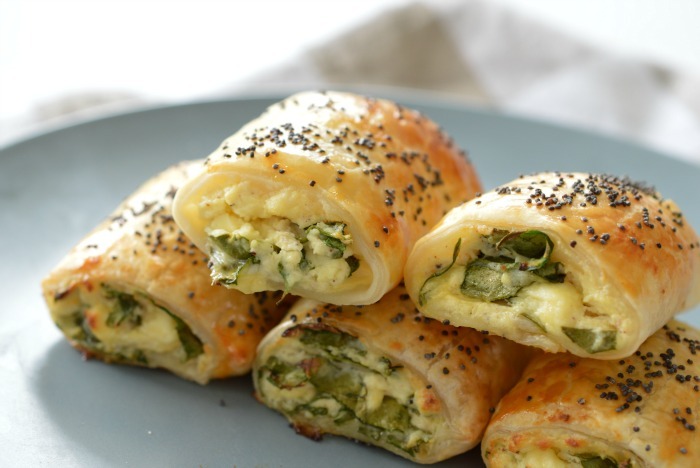 SPINACH AND THREE CHEESE ROLLS – These Spinach and Three Cheese Rolls really need to come with a warning, as you won’t be able to stop yourself from eating just one – or three! 19. 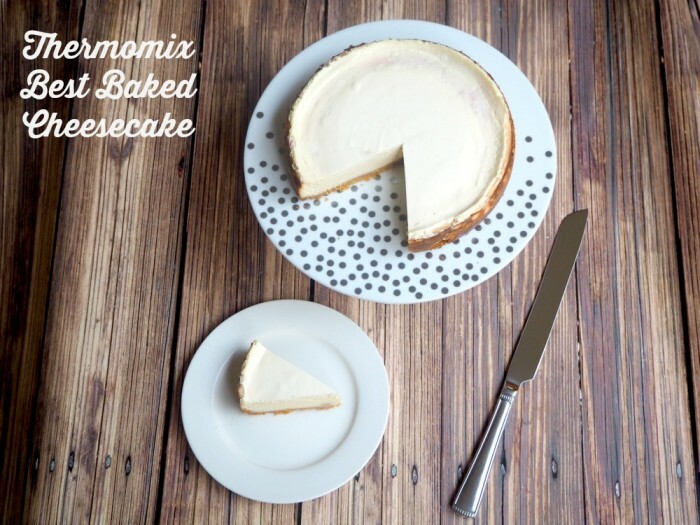 THERMOMIX BEST BAKED CHEESECAKE – However you make it, this is simple, scrumptious, freezer friendly and impossible to stuff up. Oh, and it’s also impossible to resist! 20. 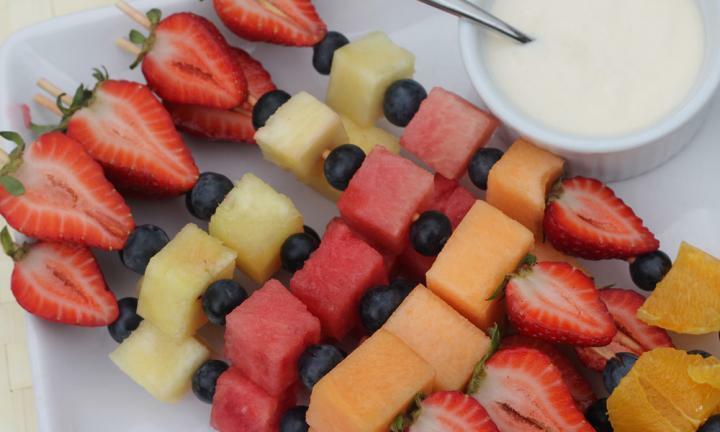 FRUIT KEBABS WITH YOGHURT DIP – Fruit kebabs just say summer to me and you could not have a more healthy snack for the whole family. Here we give them a delicious yoghurt dip for a creamy flavour contrast. 21. EASY ROCKY ROAD – Rocky Road is one of my most favourite chocolates. We were visiting friends recently so I made the kids some Rocky Road as a little afternoon tea treat. This is a very easy rocky road recipe that didn’t take much effort to make with only a few ingredients. 22. 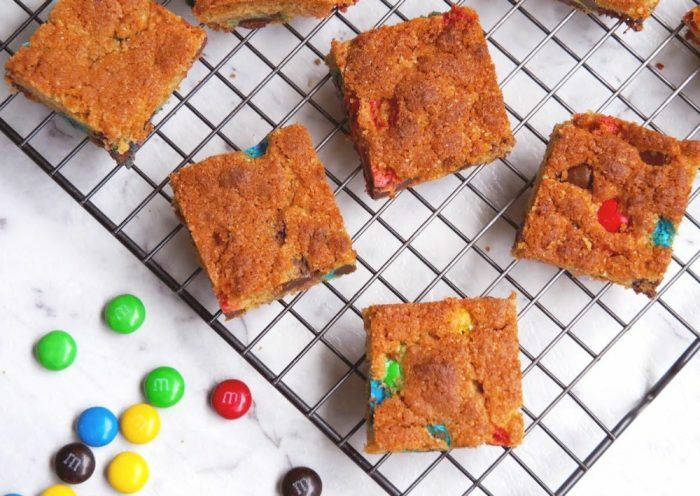 SUPER SIMPLE M&M SLICE – This makes about 15 squares and is super easy to make. 23. SUPER EASY CARAMEL TARTS – These tarts have become a ‘requirement’ when I catch up with girlfriends for morning tea or dinner parties. They are extremely yummy and super easy to make, everybody will love them and think you slaved in the kitchen for hours. 24. 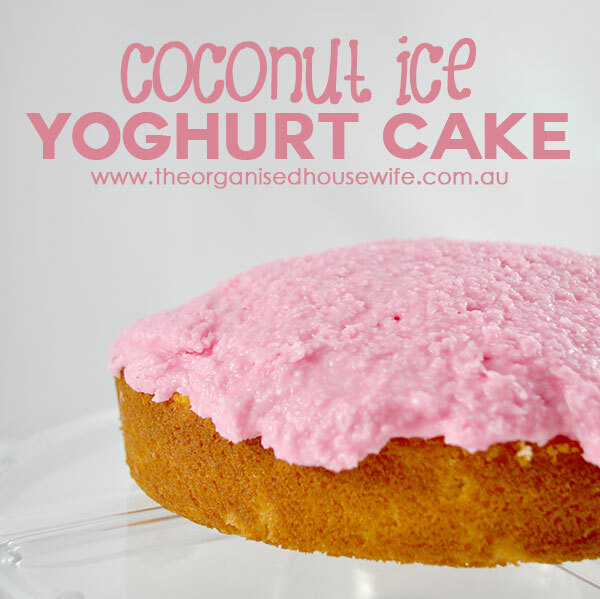 COCONUT ICE YOGHURT CAKE – Yum, I am going through a coconut phase at the moment, love anything coconut-ty!! This dessert is light with a delicious yoghurt tang and the icing reminded me finger buns…. noms! What do you usually take when asked to ‘bring a plate’? 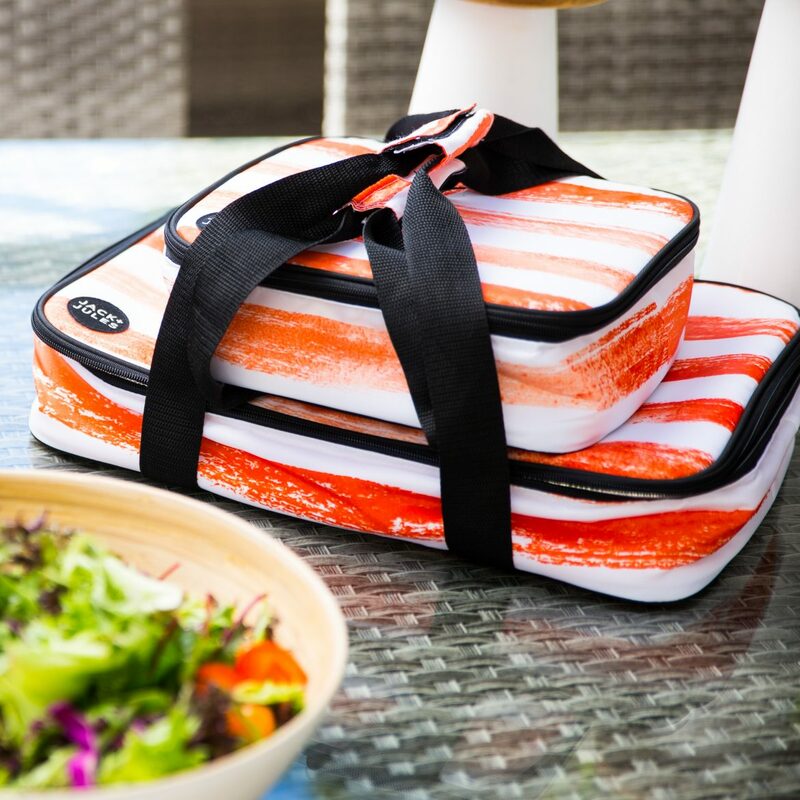 I love that Bring a Plate bag – I think I need it in my life! 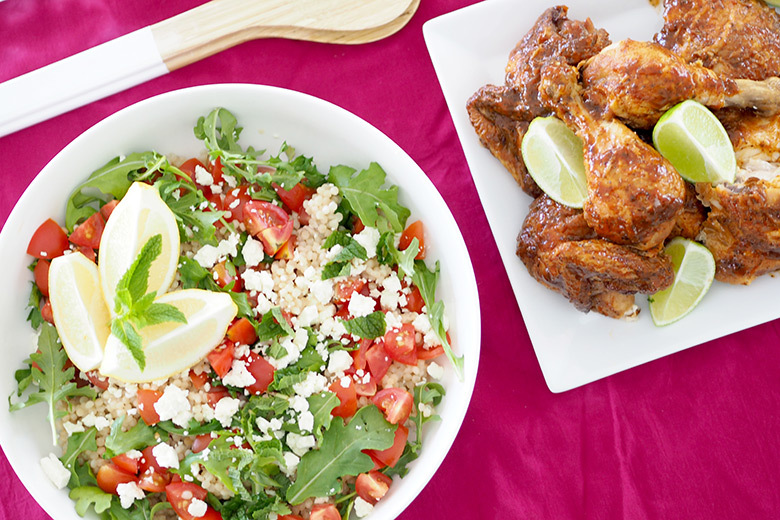 Thanks for including some of my recipes in such a delicious round up. I usually take dessert (usually cheesecake, surprise, surprise!) and vegetarian sausage rolls are my other speciality! cheesecake is a good dessert to take. Yes the bag is amazing and perfect for travelling with. Ooh but potato salad is always a winner too! This is a brilliant idea, makes it visually pleasing for them to notice it and want to eat it! !